Urban Mom is inspired by the hands-on millennial mothers of today, the student 'treps say. Starting young: Kristine Gonzales and Edric Ng Cha of Urban Mom. Photo from Urban Mom. 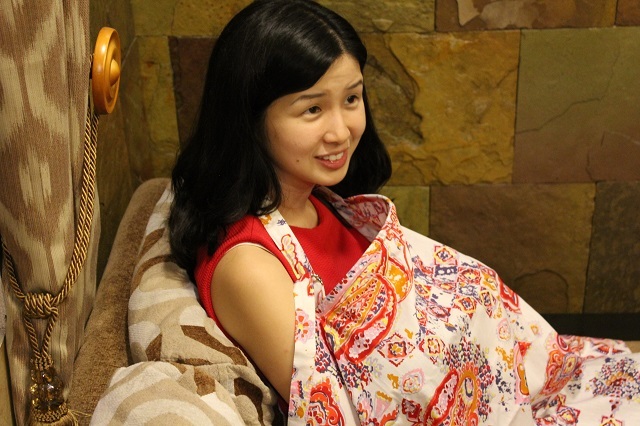 When Entrepreneurship majors Kristine Gonzales and Edric Ng Cha decided to put up a specialty shop for mothers as part of their undergraduate thesis, most of their peers got confused. Neither of the two are parents, and both are still in their early 20’s finishing school. “We were inspired by Eric’s cousin, who was finally blessed with a baby girl after eight years of trying to conceive. We saw how much she cared for her baby, and then we wondered, “Are young moms today just like her?” Gonzales shared. Useful products: A model trying out Urban Mom's nursing covers. Photo from Urban Mom. The two seniors from the University of Santo Tomas decided to research further: they joined online groups by young mothers, even interviewing some of them, and studied various practices which can help nursing women. 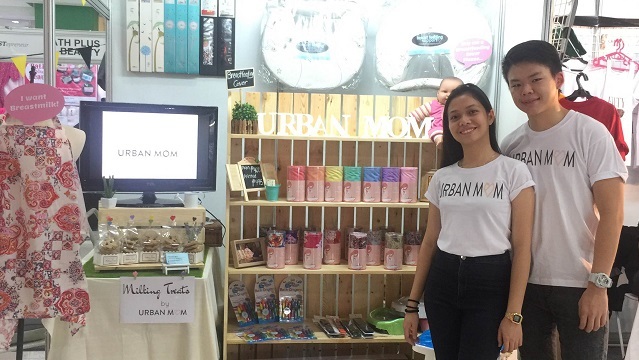 Using P90,000 (US$1,878.52) as starting capital, which was pooled from their personal savings, Gonzales and Ng Cha finally put up their online specialty shop Urban Mom. “We thought of innovating products which can help modern moms today, and we came up with ‘milking treats,’” Gonzales said. These ‘milking treats’ are cookies that help nursing mothers increase milk production. These lactation cookies have gained quite a following, earning Urban Mom avid customers who have monthly to weekly orders of the baked goods. No wonder it’s the best-selling item in Urban Mom’s online store. But Urban Mom has moved beyond selling cookies. Today, they also sell nursing covers, breastfeeding bottles, and other products that can help nursing moms. “We observed mothers today have become more hands-on with their babies. They research more on what’s best for their kids, which inspires us to always offer goods that could ease motherhood,” Gonzales shares. The pair is aware that the brand can grow more if it reaches more customers, so they join bazaars at least once a month, which can sometimes compromise their studies. “There are weekends when we have a scheduled bazaar activity even when we have Saturday classes. We're sometimes forced to skip our classes just to attend the bazaars,” revealed Gonzales. But the Thomasians are thankful for these moments. As aspiring entrepreneurs, the pair knows how the real world can come with more compromises, and they are treating their experience today as a warm-up to greater things ahead. “We’ve always wanted to have our own business so we can prove to our parents that their hard work just to bring us to a good school is worth it. We know this experience will help us in the future,” Gonzales says.